Blueprints for German tanks - do they exist? I get that the whole point of blueprints is to con me into grinding new lines but I'm not going to. Nothing wrong with them but I don't want to commit that much time. The only line I'm interested in I can't get blueprints for. Edited by 537dL, Mar 23 2019 - 20:45. Well if you got 5 and no German ones it looks like they probably don't exist. Got one for a Leopard Prototype A. Plus a few generic German ones too. They exist, I've got a couple of them. If you look in your depot, they've added a new section in the choices to the left, third one down, is for the blueprints and it will show you your accumulation of them. I've got about a quarter of a freaking Mauschen built, and I've played exactly 5 battles in german tanks total. Edited by Zuikakoo, Mar 23 2019 - 17:17. I've got most of the German tech tree researched and I keep getting universal prints. I got one for a JagdTiger so they do exist. I wish I had a chance to see the ones that turned into universal prints. Edit: About everything is at least tier 6 on my German tree so I would venture to guess that I'll have lower odds of seeing one. Edited by Garandster, Mar 23 2019 - 17:35. Got one for the T10 Leo. 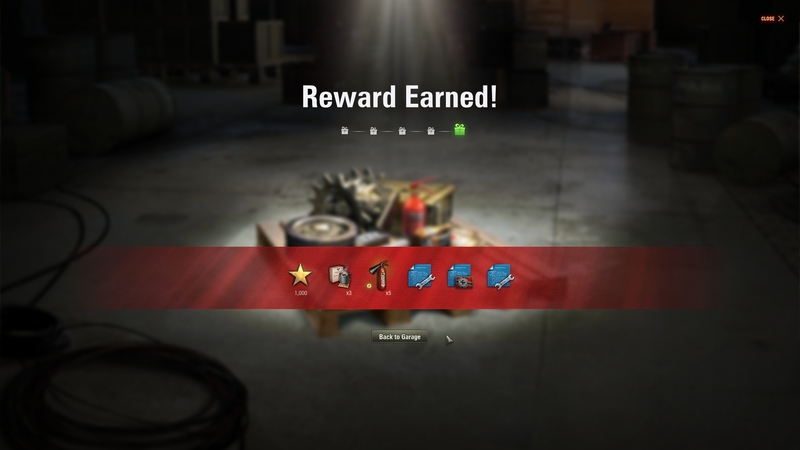 I'm guessing like most other folks with a lot of tanks researched I've gotten more universals and nationals than specific blueprints. Be interesting to know what the drop rates are for players with more unresearched tanks. I got one for the StPz II last night. The one in the arty line I had skipped over. The rest have been for the Brit heavy line. Edited by 537dL, Mar 23 2019 - 18:16. I sure am getting them, but I can't read 'em, they're in German. They seem overly complex too. Just got this supply drop today, my fifth, and like they say the fifth one is bigger than the other 4. This is a really nice thing they are doing just for playing the game. Pretty goos haul I'd say! I think so far I have a few universals. These rewards seem to come randomly as I had a game with a wheelie where I was knocked out in the first minute and then rewarded, and top 2 game where I was rewarded again. Each time is free stuff so I like that. The more tanks you have researched the more likely you are to get a Universal or National... and visa-versa -- if you have few tanks researched you're more likely to get a fragment that is automatically applied to that tank. I have researched all but 70 of the 414 (I think that's correct) researchable tank. Of those 57 are of interest (32 being tier 10)… which means (depending on the method of random fragment generation) I have about a 13% chance of getting a blueprint fragment for one of the tanks I am at least interested in. So far I got one. That was -- coincidentally -- for the VK45.02. Every other fragment has been a universal or national. And -- Really nice drop for you NuclearGuy931! If wg wanted to be really funny they could use torn up napkins with scribbles on it for many of their tanks 'blueprints'. There may be an element to playing without doing any team damage, as has been proposed elsewhere, but so far the one certainty is they drop randomly. The more matches you play, win or lose, stellar or out early, the better chance you have of an AoM. That image does show a good reward, but this is also a 5th reward in the cycle. Every 5th reward is bigger and better than those preceding it.